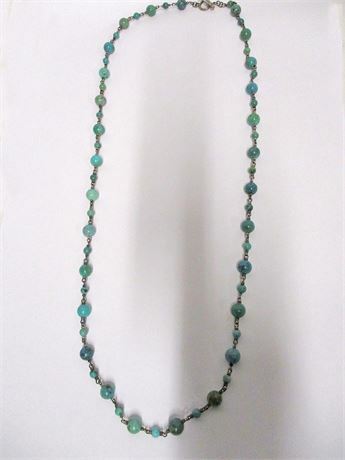 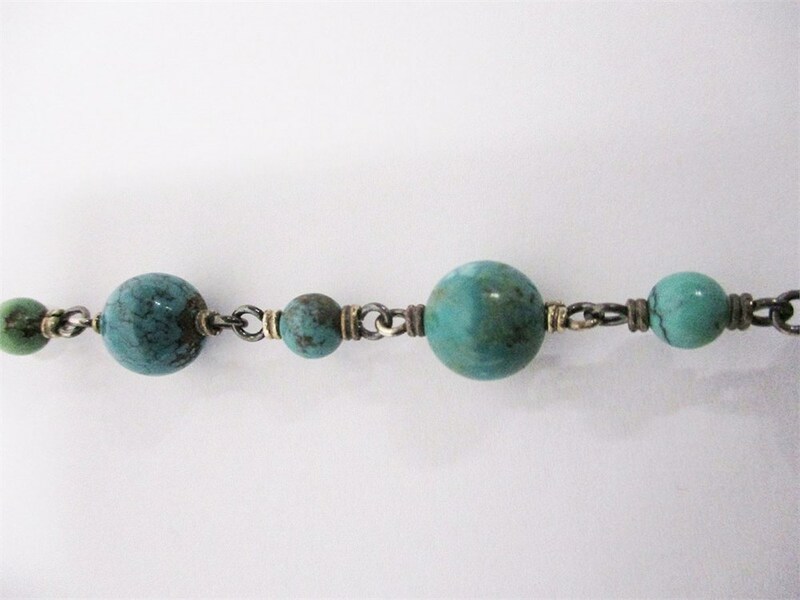 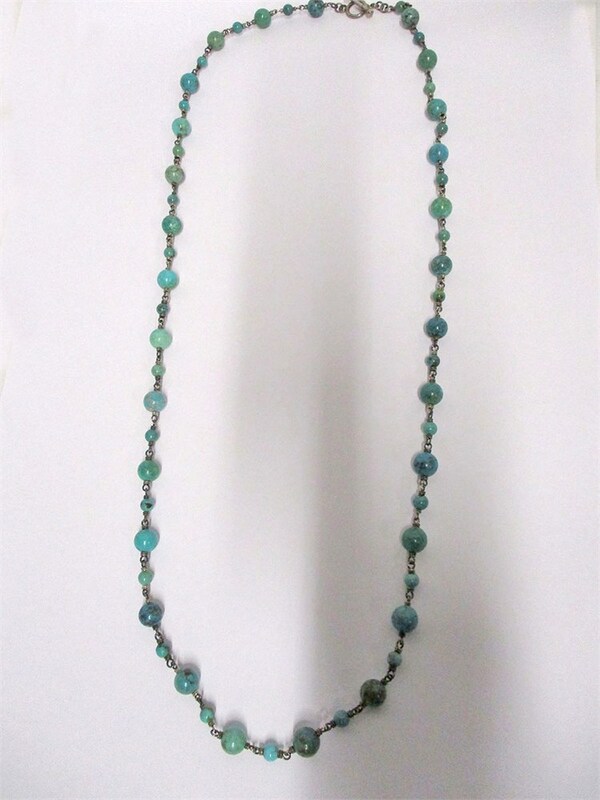 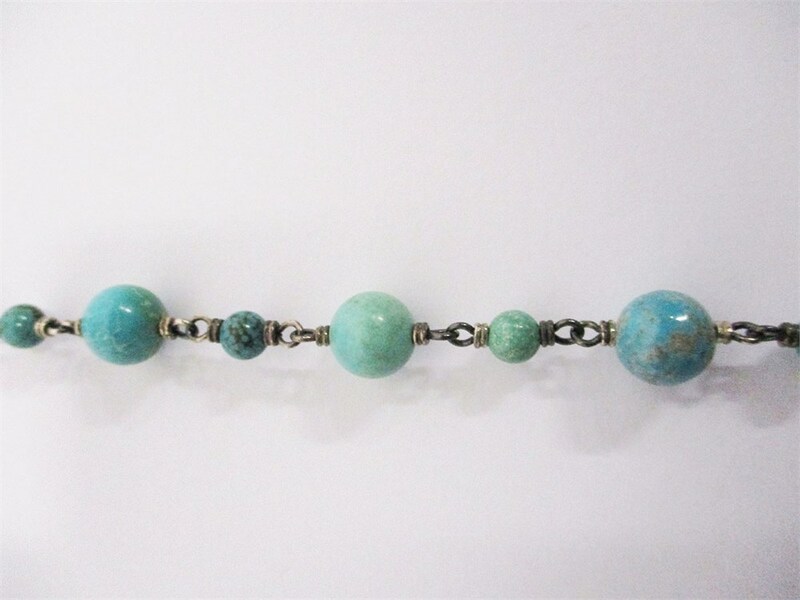 This lovely necklace consists of turquoise beads accented with sterling silver. 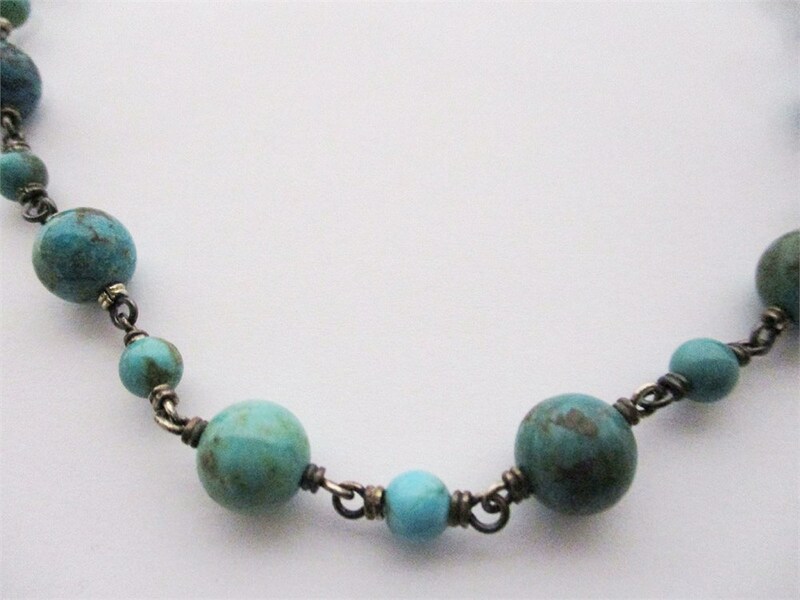 The turquoise beads measure approximately between 6mm and 9mm. 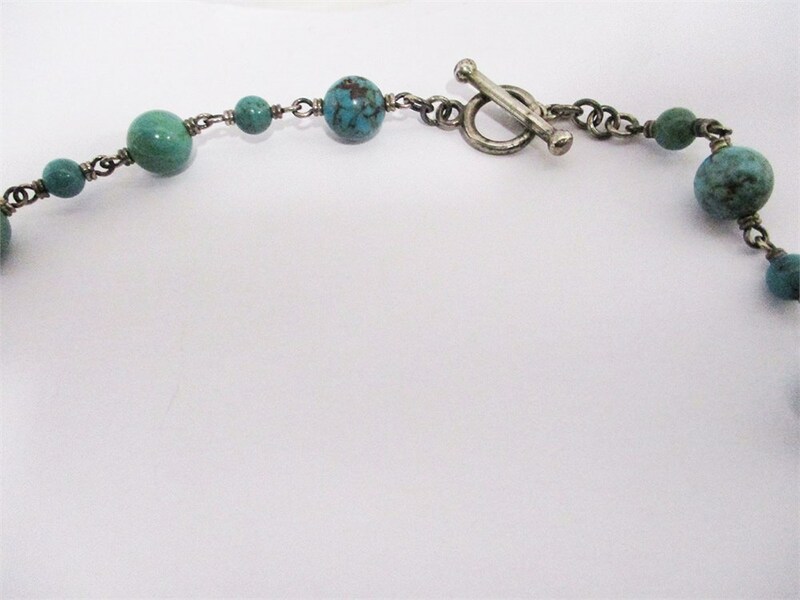 Total approximate weight is 61 g.